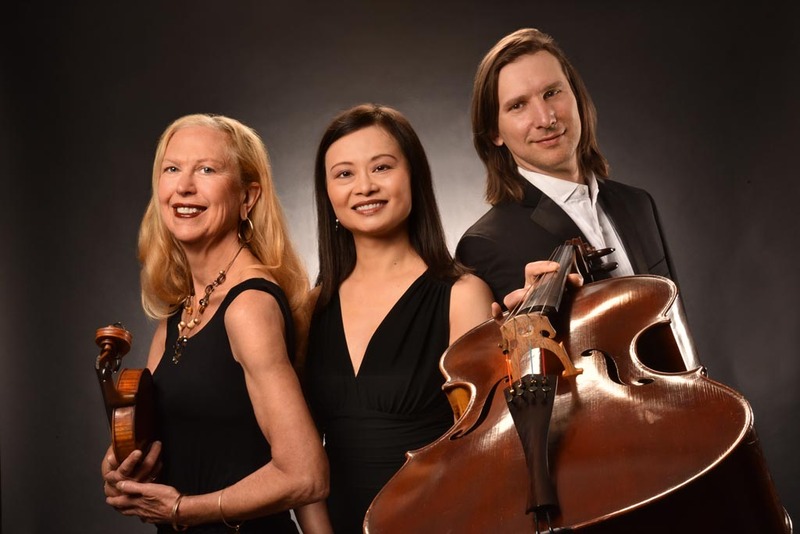 New World Trio presents "The Influence of a Woman"
Tchaikovsky wrote his great piano trio, the brilliant and elegiac Trio in A Minor op.50, in memory of his mentor and friend Nicolai Rubenstein, in 1882, while receiving financial support from Madam von Meck. Though by mutual agreement they never met, their correspondence over their 13-year relationship forms one of the great epistolary exchanges in western music. Debussy, at the tender age of 18, lived for several months with Madam von Meck and her children, acting as their teacher and accompanist, and providing impromptu chamber concerts at Madam’s request.The Premier Trio in G Major was written for one of those soirees. It is a romantic charmer, not in the style of later Debussy impressionism, but a winner nonetheless. This concert is made possible by the generous support of the Friends of the Cheshire Library!